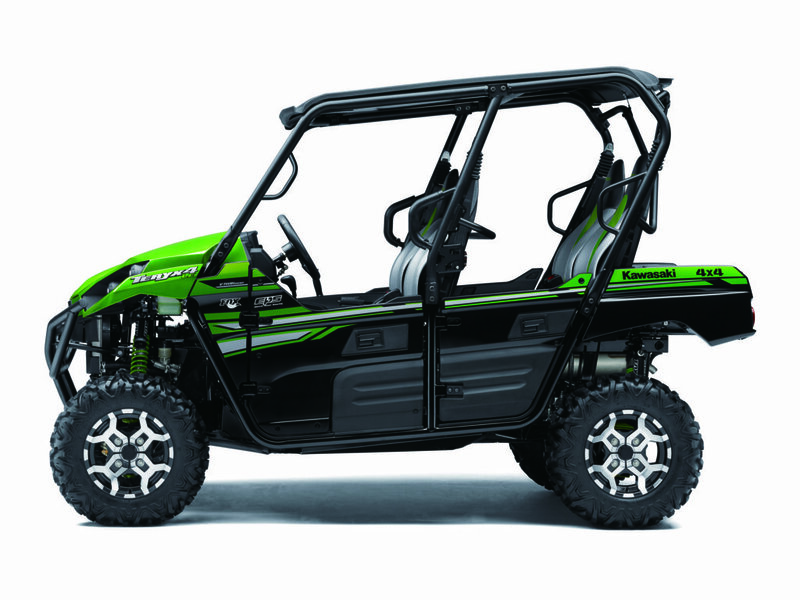 The exciting 2017 Kawasaki Teryx4 LE Recreation Utility Vehicle (RUV) comes with fantastic versatility, work, play, fishing, hunting and off road driving are all within easy reach of the Teryx4 LE. 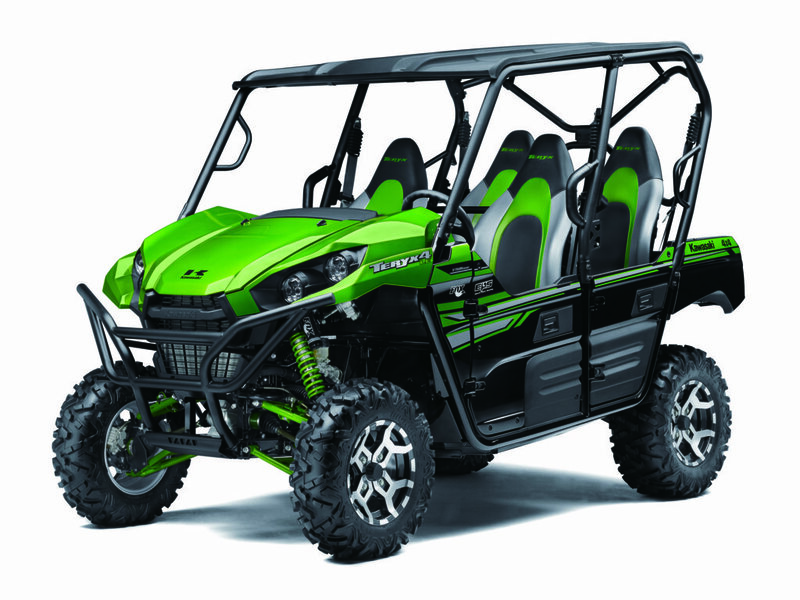 To harness the full potenial of its mightly V-Twin engine, the Teryx4 LE features a stable wide-body chassis and mid-engine layout. 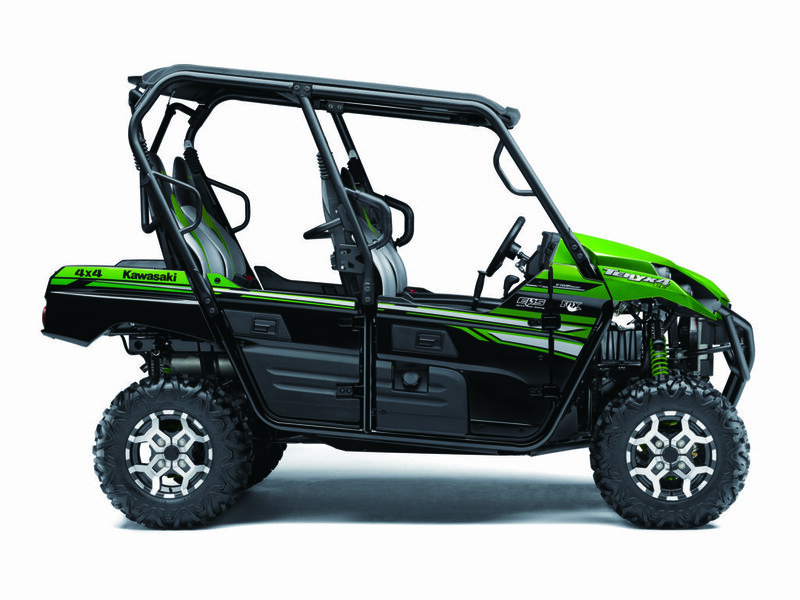 The exciting 2017 Kawasaki Teryx4 LE Recreation Utility Vehicle (RUV) comes with fantastic versatility, work, play, fishing, hunting and off road driving are all within easy reach of the Teryx4 LE. To harness the full potenial of its mightly V-Twin engine, the Teryx4 LE features a stable wide-body chassis and mid-engine layout. 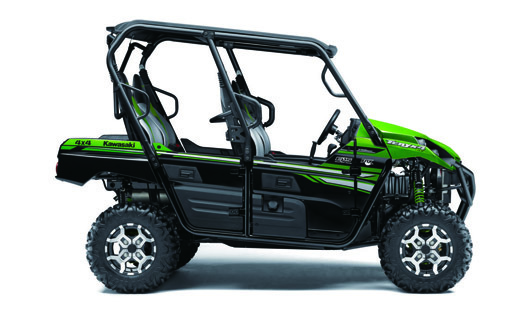 Compared to the previous model, the new rugged Double-X frame is wider and longer and offers a significant increase in off-road performance and stability. Looking to take the 2017 TERYX4 LE for a test ride? Tell us when it suits you and we will be in touch to confirm the time and bike availability. Want to know more about the 2017 TERYX4 LE? Our sales team have years of experience and can help with your enquiry.